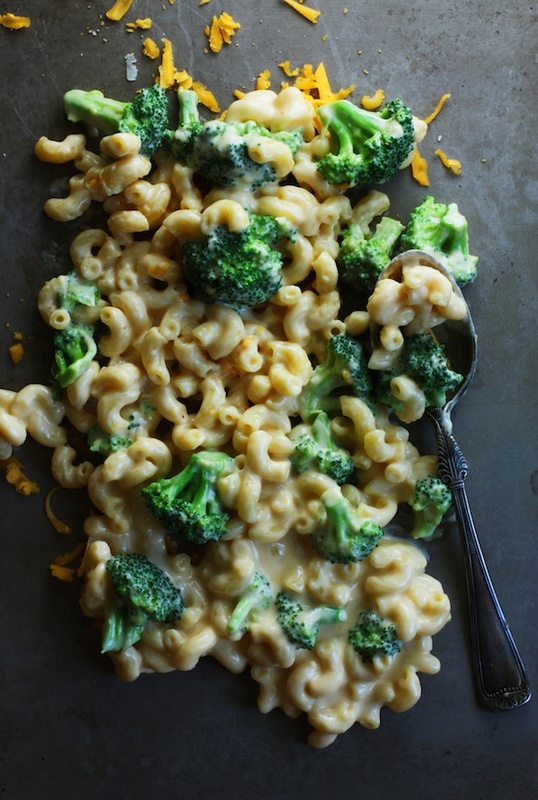 This is the best stovetop mac & cheese. It is made with real, creamy cheddar, salty parmesan and melty Emmantaler. This hearty bowl of pure comfort was exactly what I needed after the May snowstorm we experienced yesterday. And yes, I loved watching every snowflake fall. Seeing the wet, white snow pile up on the vibrantly green grass and leaves was beautiful but also quite confusing for someone who is not native to Colorado. The air is still very cold but I'm taking that as the perfect excuse for making macaroni and cheese before the weather is so hot that I can't stand it. That will happen all too quickly. The sauce for this bowl of wonderfulness is made with a basic roux (light on the flour to avoid a grainy texture), evaporated milk (less likely to curdle), and 3 kinds of cheese. Here's the deal with the cheeses: I used sharp cheddar for its color and creamy flavor, Parmesan for its salty bite, and Emmentaler for its excellent melting quality. The combination was absolute perfection and, please don't judge me for this, was very similar to that stuff that comes in a foil-wrapped brick, melts like a dream, and has no actual cheese in it. Begin by bringing a large pot of water to boil. Add the pasta and cook until just shy of al dente and add the broccoli to the pot with the pasta. Cook until the broccoli is bright green and crisp-tender, about 2 minutes. While the pasta water comes to a boil, melt the butter in a medium saucepan over medium heat. Whisk in the flour and cook, whisking constantly, until the flour turns a light golden color. Very slowly whisk in the evaporated milk. Add the mustard and hot sauce and bring to a simmer. Cook about 4 minutes until the sauce thickens. Remove the sauce from the heat and stir in the cheeses. Drain the pasta and broccoli and return them to the pot. 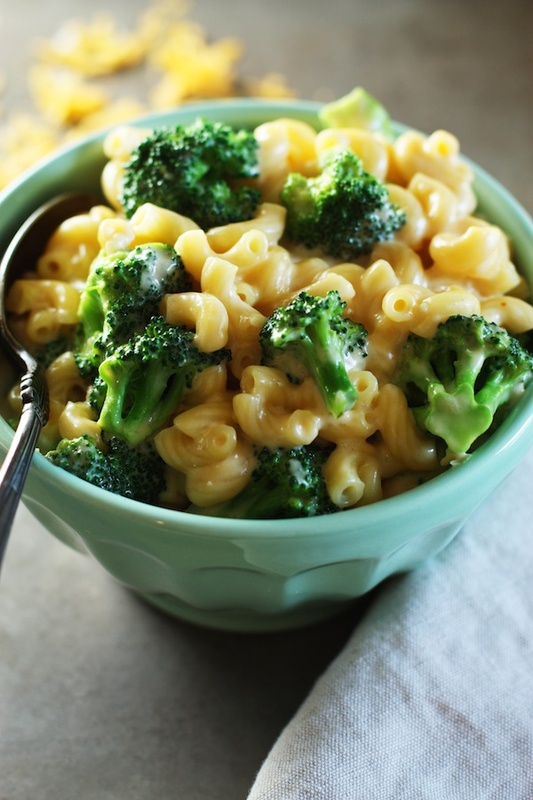 Pour the cheese sauce over the pasta and fold it all together until you have a gorgeous, creamy pot of macaroni and cheese staring you in the face. Scoop into serving bowls and devour. This macaroni and cheese keeps well in the refrigerator. Simply reheat for about 2 minutes in the microwave and enjoy!